CINCINNATI – After more than a year of hard work and several setbacks, the Bourbon SmokeHouse in Hyde Park will host its grand opening on Friday. "We've been getting this place ready for 19 months," said David Redmond, general manager of the restaurant at 3672 Erie Ave. The restaurant's staff is more than ready to serve St. Louis-style ribs, smoked chicken thighs and beef brisket to its neighbors, he added. "It takes us closer to 18 hours to smoke the brisket," Redmond said. Several structural issues discovered during remodeling of the restaurant's 90-year-old building created most of the delays, Redmond said. Obtaining city and county permits to operate two outdoor barbecue smokers then forced the cancellation of a planned July grand opening. "Having an outdoor smoker with a restaurant is a pretty unique situation," Redmond said. Smoked sausage, Memphis pulled pork, house-made sides, salads and loaded fries round out the restaurant's food options. "We finish our four-cheese-blend mac and cheese on the smokers for flavor," Redmond said. The smokers' fire is fueled by locally-sourced red oak and cherry wood. Behind the bar, the restaurant is stocking 40 different bourbons and an assortment of bourbon-based cocktails. Those cocktails include a mule, Manhattan and mint julep. For non-bourbon drinkers there are six white and six red wines, along with domestic and local craft beers on the menu. 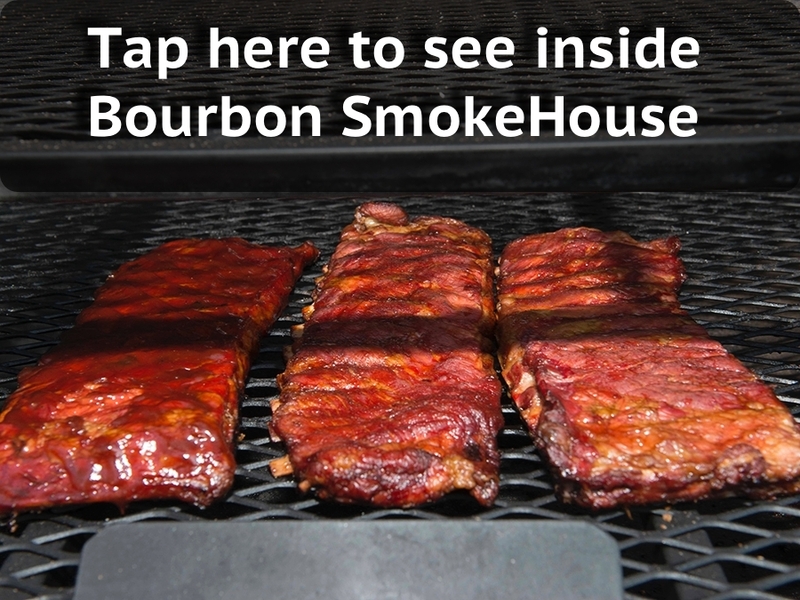 The Bourbon SmokeHouse can seat 140 inside and 20 at its sidewalk patio during warmer weather. Redmond said the restaurant's owners used reclaimed barn wood for the walls and bars to create a warm, rustic interior feel. Redmond said the restaurant will be open from 5 p.m. to 1 a.m. daily and plans to add lunch hours within a few weeks. "We want to make sure we can smoke enough meat first," he said.